For other national maritime museums, see National Maritime Museum. The museum was created by the National Maritime Act of 1934 Chapter 43, under a Board of Trustees, appointed by H.M. Treasury. It is based on the generous donations of Sir James Caird (1864–1954). King George VI formally opened the museum on 27 April 1937 when his daughter Princess Elizabeth accompanied him for the journey along the Thames from London. The first Director was Sir Geoffrey Callender. Since earliest times Greenwich has had associations with the sea and navigation. It was a landing place for the Romans; Henry VIII lived here; the navy has roots on the waterfront; and Charles II founded the Royal Observatory in 1675 for "finding the longitude of places". The home of Greenwich Mean Time and the Prime Meridian since 1884, Greenwich has long been a centre for astronomical study, while navigators across the world have set their clocks according to its time of day. The Museum has the most important holdings in the world on the history of Britain at sea comprising more than two million items, including maritime art (both British and 17th-century Dutch), cartography, manuscripts including official public records, ship models and plans, scientific and navigational instruments, instruments for time-keeping and astronomy (based at the Observatory). Its holdings including paintings relating to Vice-Admiral Horatio Nelson and Captain James Cook. The collection of the National Maritime Museum also includes items taken from the German Naval Academy Mürwik after World War II, including several ship models, paintings and flags. The museum has been criticized for possessing what has been described as "looted art". The museum regards these cultural objects as "war trophies", removed under the provisions of the Potsdam Conference. In late August 2018, several groups were vying for the right to purchase the 5,500 RMS Titanic relics that were an asset of the bankrupt Premier Exhibitions. Eventually, the National Maritime Museum, Titanic Belfast and Titanic Foundation Limited, as well as the National Museums Northern Ireland, joined together as a consortium that was raising money to purchase the 5,500 artifacts. The group intended to keep all of the items together as a single exhibit. Oceanographer Robert Ballard said he favored this bid since it would ensure that the memorabilia would be permanently displayed in Belfast (where the Titanic was built) and in Greenwich. The museums were critical of the bid process set by the Bankruptcy Court in Jacksonville, Florida. The minimum bid for the 11 October 2018 auction was set at US$21.5 million (£16.5m) and the consortium did not have enough funding to meet that amount. The museum was officially established in 1934 within the 200 acres (0.81 km2) of Greenwich Royal Park in the buildings formerly occupied by the Royal Hospital School, before it moved to Holbrook in Suffolk. It includes the Queen's House, an early classical building designed by Inigo Jones, which is the keystone of the historic "park and palace" landscape of maritime Greenwich. It also includes the Royal Observatory, Greenwich, which was an active scientific institution until the 1950s, when it was removed to Herstmonceux Castle in East Sussex. The gardens immediately to the north of the museum were reinstated in the late 1870s following construction of the cut-and-cover tunnel between Greenwich and Maze Hill stations. The tunnel comprised part of the final section of the London and Greenwich Railway and opened in 1878. Flamsteed House (1675–76), the original part of the Royal Observatory, was designed by Sir Christopher Wren and Robert Hooke and was the first purpose-built scientific institution in Britain. All the museum buildings have been subsequently upgraded. A full redevelopment of the main galleries, centring on what is now the Neptune Court, which was designed by Rick Mather Architects and funded by the Heritage Lottery Fund, was completed in 1999. In May 2007 a major capital project, "Time and Space", opened up the entire Royal Observatory site for the benefit of visitors. The £16 million transformation features three new modern astronomy galleries, four new time galleries, facilities for collections conservation and research, a learning centre and the 120-seat Peter Harrison Planetarium (named after the major donor, Peter Harrison) designed to introduce the world beyond the night sky. In 2008, the museum announced that Israeli shipping magnate Sammy Ofer had donated £20m for a new gallery. ^ "Visits made in 2009 to visitor attractions in membership with ALVA". Association of Leading Visitor Attractions. Archived from the original on 29 April 2010. Retrieved 21 May 2010. ^ National Maritime Museum, Governing Acts of Parliament. ^ ODNB article by Michael Lewis, ‘Callender, Sir Geoffrey Arthur Romaine (1875–1946)’, rev. H. C. G. Matthew, Oxford Dictionary of National Biography, Oxford University Press, 2004  accessed 23 September 2007. 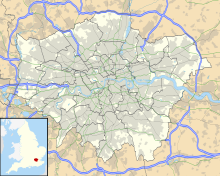 ^ "Greenwick Park: Roman Remains". Royal Parks. Retrieved 29 December 2018. ^ "Greenwich Palace: Archaeologists discover ruined remains of Henry VIII's birthplace". The Independent. 15 August 2017. Retrieved 29 December 2018. ^ "A brief history of the Old Royal Naval College". South London Club. Retrieved 29 December 2018. ^ "Charles II and the Royal Observatory, Greenwich". Royal Collection Trust. Retrieved 29 December 2018. 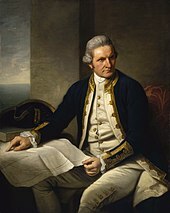 ^ "Captain James Cook, 1728–79". Royal Museums Greenwich. Retrieved 29 December 2018. ^ "Collaborative Doctoral Award with the National Maritime Museum (2010–13)". York Art History Collections. Retrieved 29 December 2018. ^ Falk, Seb. "Review of Ships, Clocks & Stars: The Quest for Longitude". journal.sciencemuseum.ac.uk. Retrieved 24 February 2017. ^ Smart, Alastair. "Samuel Pepys, National Maritime Museum, review: 'history rivetingly brought to life'". telegraph.co.uk. Retrieved 24 February 2017. ^ Jones, Jonathan. "Emma Hamilton: Seduction and Celebrity review – the betrayal of Nelson's mistress". theguardian.com. Retrieved 24 February 2017. ^ Littlewood, Kevin; Butler, Beverley (1998). Of Ships and Stars: Maritime Heritage and the Founding of the National Maritime Museum Greenwich. Continuum International Publishing Group. p. 117. ISBN 978-0485115376. 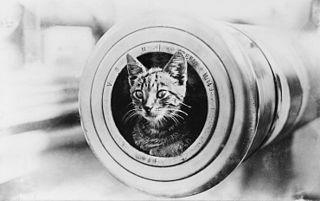 ^ a b "Prizes and fellowships in naval and maritime history". University of Exeter. Retrieved 29 December 2018. ^ "History of the Queen's House". Royal Museums Greenwich. ^ "The story of the Royal Greenwich Observatory at Herstmonceux". Herstmonceux Parish Council. Retrieved 29 December 2018. ^ "SER Lines and Stations". Stephen Chapman. Retrieved 29 December 2018. ^ Historic England. "Royal Observatory Flamsteed House (1358976)". National Heritage List for England. Retrieved 29 December 2018. ^ "Neptune Court, Greenwich Maritime Museum". Architects Journal. Retrieved 29 December 2018. ^ "The Sammy Ofer Wing". C F Moller. Retrieved 29 December 2018. ^ Biography Frank Carr: Ship saver by Peter Elphick, states "Meanwhile, in 1966, the Trustees of the National Maritime Museum dismissed Frank Carr from his post as Director, two years before he was due to retire. No one seems to know the full circumstances behind this highly controversial decision, but it seems that the Trustees wanted a change of course." ^ Biography of Director Kevin Fewster on NMM website. ^ van der Merwe, Pieter (15 January 2000), "Obituary – Michael Robinson 1910 – 1999", The Independent, archived from the original on 4 December 2010 . ^ Penguin Books author biography: Richard Ollard Archived 20 May 2011 at the Wayback Machine, accessed 20 October 2007. ^ "Gerard Turner awarded the Caird Medal" (PDF). Bulletin of the Scientific Instrument Society No.37. 1993. Retrieved 29 December 2018. ^ The Caird Lecture, 1999, by Elisabeth Mann-Borgese: "The economics and governance of the oceans" in Journal for Maritime Research, January 2000. Archived 29 October 2007 at the Wayback Machine accessed 20 October 2007. ^ Reference to David Attenborough's Caird Medal Address in Cook's Log: the quarterly newsletter of the Captain Cook Society, Volume 27 No.4 (Oct–Dec 2004) accessed 20 October 2007. ^ Institute of Historical Research Newsletter 2005: Peter Kennedy's Caird Medal Address noted Archived 10 April 2008 at the Wayback Machine accessed 20 October 2007. ^ Charity Commission. National Maritime Museum Cornwall Trust, registered charity no. 1067884. Retrieved 29 December 2018. Wikimedia Commons has media related to National Maritime Museum, London. A time ball or timeball is an obsolete time-signalling device. It consists of a large, painted wooden or metal ball that is dropped at a predetermined time, principally to enable navigators aboard ships offshore to verify the setting of their marine chronometers. Accurate timekeeping is essential to the determination of longitude at sea. The Mürwik Naval School is the main training establishment for all German Navy officers and replaced the German Imperial Naval Academy in Kiel. William Schaw Lindsay was a British merchant and shipowner who was the Liberal Member of Parliament for Tynemouth and North Shields from 1854 to 1859 and for Sunderland from 1859 until his resignation on grounds of ill-health in 1864.